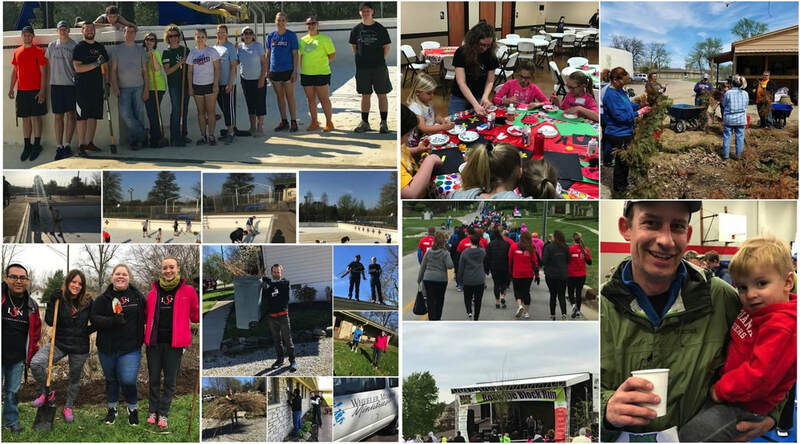 We are forever grateful for the incredible scholarships we were awarded, through our Community Foundations, on behalf of the Lilly Endowment and this year we are once again extending our volunteer efforts to serve communities around Indiana through a month-long statewide service event to take place in April 2018. This event will take some of us back to our roots and help others take root and bloom where they are now planted. For those serving out of the state, and in some cases out of the country, we're empowering them to let their Hoosier spirit shine wherever they are. Last year's Lilly Scholars Network Give Back INitiative inspired eight service projects around the Hoosier state and others beyond our state's borders. It brought together current and alumni scholars, as well as family, friends and other community members to pay it forward. This year, we're setting the bar even higher and are excited to offer more projects and reach new counties! We look forward to sharing photos and videos from our events throughout the month of April! Be sure to check this site and also follow us on Twitter (@LillyScholars) for updates. Questions? Email us at lillyscholars@gmail.com, and we'll be sure to follow-up with you!